Racing chains for racetracks & off-road. AFAM Racing chains are made as light as possible, they are very flexible and absolutely top in terms of transmission efficiency. The most important for Racing chains is optimal transmission efficiency, smooth-running low friction light chains and less important is the longevity. AFAM 520RXX-GG Racing Chain with slim Xss rings. 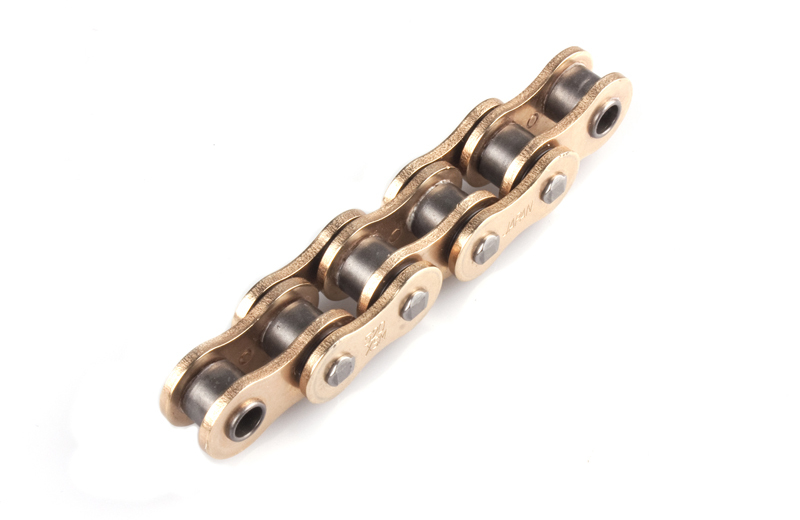 The smooth surface of the gold color on the inside and outside plate makes the chain even more flexible. The chain has an enlightened inner plate and the roller diameter is adapted for road racing use. AFAM 520XSM-GG Racing Off Road chain with slim Xss rings. The chain has an enlightened inner plate and the roller diameter is adapted for off-road use.